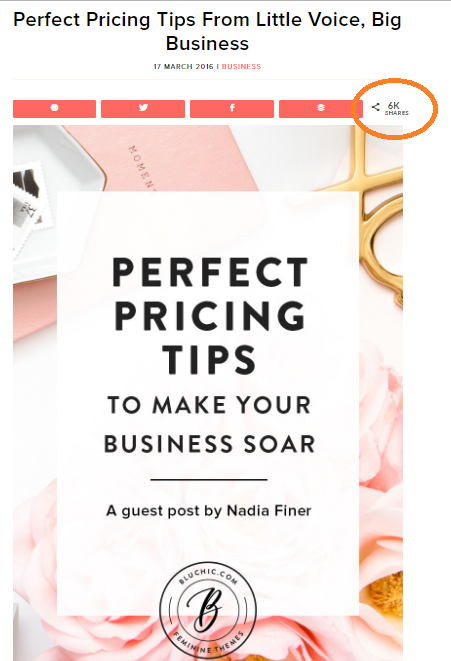 You will come away from this masterclass with a full grounding about how to execute your Guest Posting strategy for maximum results! Cheryl, Director of Ginger Marketing has written & placed over 200 Guest Posts across 7 verticals. She's been featured in the Huffington Post, Rising Tide, Elephant Journal, Women 2.0, Thought Brick & Fresh Business Thinking. She has placed clients on top niche websites like Talented Ladies, Classy Career Girl, YFS Magazine and 100's more. Some of the posts she has written have had thousands of shares, creating regular month on month leads for her clients. 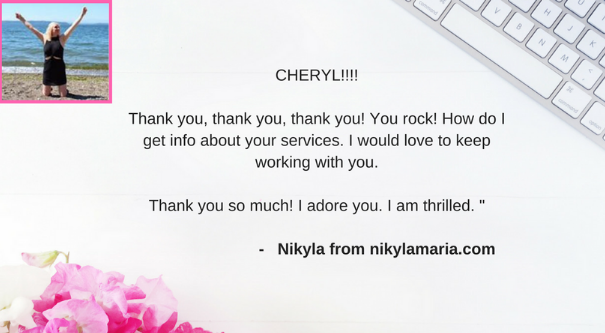 When it comes to Guest Blogging, Cheryl is your gal to kick start your strategy and there is know more cost efficient way to work with her. Ginger Marketing Guest Blogging Packages start at $200 for a single post & most of our clients pay $600 and up per month. Get the best of Cheryl's Guest Blogging secrets now!! You Decide! Yes, that's right. I'm going to trial something totally out of the box (my business coach will kill me) and let you decide how much this training is worth to your business. I don't want anyone to be left out of this & I want you to feel like you've come away with HUGE AMOUNTS OF VALUE. Click the BUY NOW button and you will be redirected our Paypal Page where you can purchase this Masterclass, just enter in the amount you'd like to pay. Upon purchasing you will get confirmation & a receipt. And you will receive your training & Bonus Material to your inbox on Monday 30th January. I'm really looking forward to helping you execute your Guest Blogging Strategy!